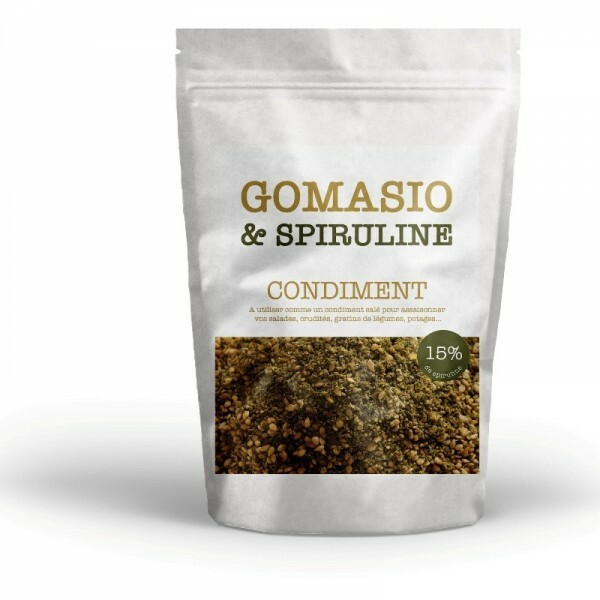 The gomasio Spirulina is a sesame seed based preparation, spirulina and sea salt used instead of salt to complement and enhance your dishes. Use gomasio spirulina in place of table salt. Indeed oil from sesame seeds which then coats the salt makes it more assimilated by the body than regular table salt.